When you consider we're just balls of energy inhabiting physical bodies for a brief moment, here on planet Earth, so much seems so trivial. 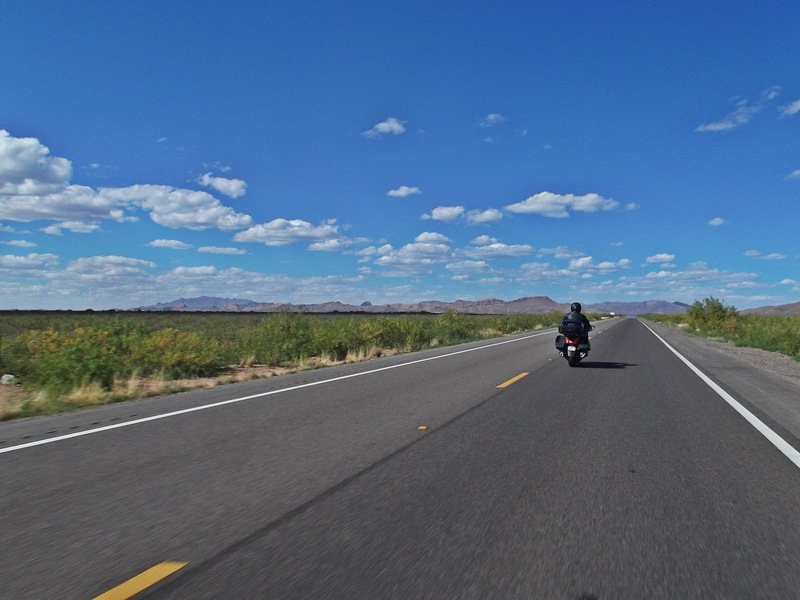 When I ride my motorcycle across the United States, and find myself on a long stretch of road cutting into hundreds of miles of open space, I can feel it. Suddenly, the worry of having enough money goes away. Knowing where I'll be sleeping tonight doesn't matter anymore. My standing in the community becomes worthless. Stuff like my credit score, my taxes, even my business is so insignificant. I could just throw it all away. All that matters is that I'm here, on this planet, with the chance to be in a physical body, to feel, to do, to experience. Just the fact that I'm alive, in this second, is all that really matters. I could be in a downtown bar drinking a really good beer, or I could be homeless sleeping on a sidewalk, or I could be naked in the desert with nothing. Either way, I'm still thinking, feeling, and doing. I'm still soaking up what the Earth has to offer while I'm occupying this body. Even if I were to die the next day, I still got to experience what it's like to be alive. And I wouldn't really die. I just wouldn't have this body anymore. But who's to say that I won't occupy another body some other time, some other place? Why would I want to go to Heaven if I have to be there forever? I'd rather see it for awhile, and then move on. It's making good with whatever life has given you, in the time you're here, is all that counts. When two people look at the same thing, they never see it the same way. No matter how hard one tries to explain their perspective, another person can only struggle to see it exactly as intended. Instead, two or more people stand at the top of a pass and gaze out across the country, and simply agree that it looks inspiring. There's no need to elaborate in detail, because each person will interpret it into something personal of their own. Reducing myself so small that I become invisible is something I often get out of riding across North America. That I can go so deep inside my thoughts, by placing myself so far out into the open, somehow seems ironic. I can just as well as become invisible among the people that walk up and down the sidewalks of San Diego's downtown. But for me, the frenetic chaos of a bustling metropolis is more an intellectual exercise of watching and observing. 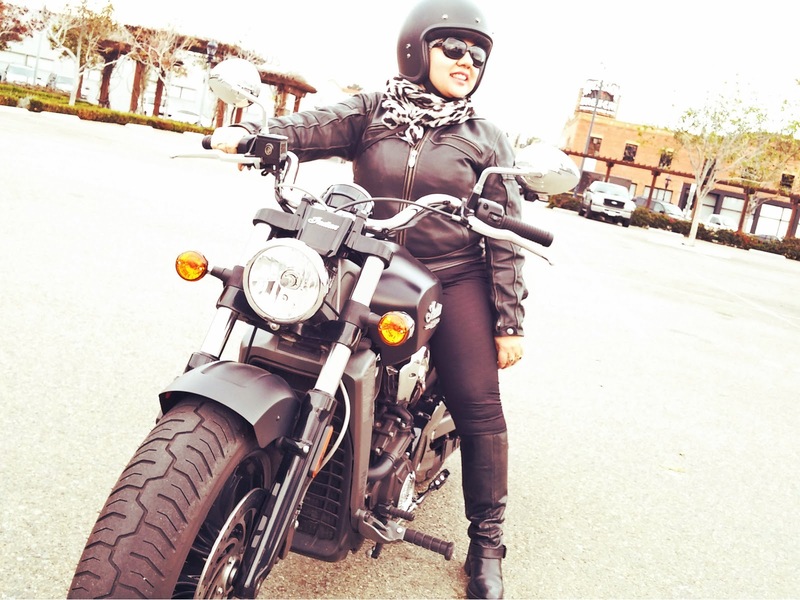 Perched on my motorcycle however, along a two-lane highway in the middle of America, amid horizons of valleys and mountains, is like a chance to realign my spirit with Earth's energy. 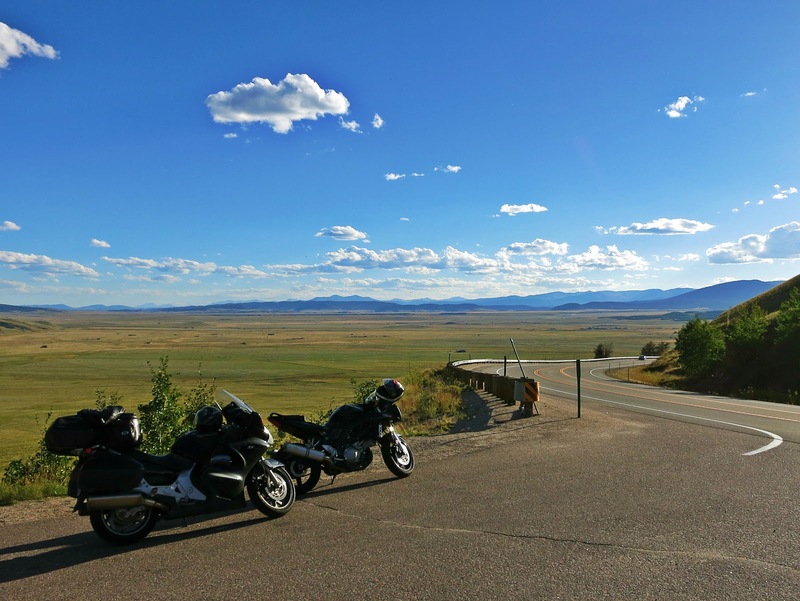 The details of what two motorcyclists get from riding the same stretch of road are best left to each rider. To explain the inspiration I feel inside to someone else only causes layers of detail to get lost in the translation. I sometimes wonder if maybe all I really need to do is post one single photo as a complete blog post, with no words. Because maybe that's all that needs to be said. Though I can't help myself but to write long articles, I really try to keep them short, and not go too far into details. I find the less I say, the more you'll interpret it into something meaningful to you. And I'd rather inspire you than just tell you.